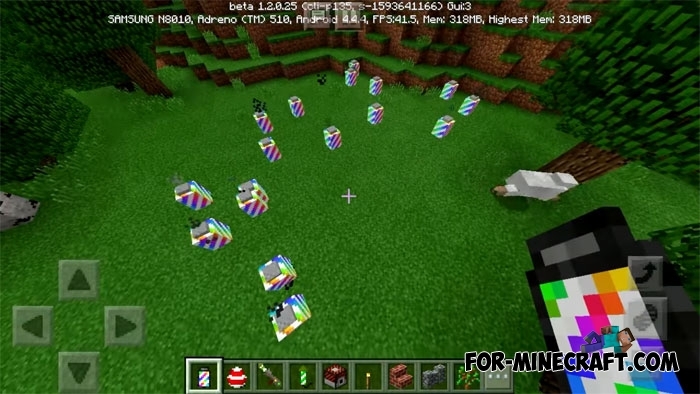 As you have seen, Minecraft PE 1.2 in addition to the new mobs, contains rockets that do not differ from the computer version of MC. The Trolling Fireworks addon are new types of fireworks for different tasks and holidays. There are 5 types of fireworks that have more similarities with each other than differences, but one way or another each fireworks is designed for a big or small explosion. For example, if you want to see a small beautiful mini explosion then use basic fireworks. It will be enough to surprise nearby players, although the explosion will be less than that of dynamite. Another interesting fact is the trajectory of the rocket's flight, it is always unpredictable. If you need a big bang so your friends are in shock then set a rainbow bomb on fire. This thing is very similar to dynamite, but the place of the explosion (funnel) will be decorated with a lot of multicolored lights changing their color. 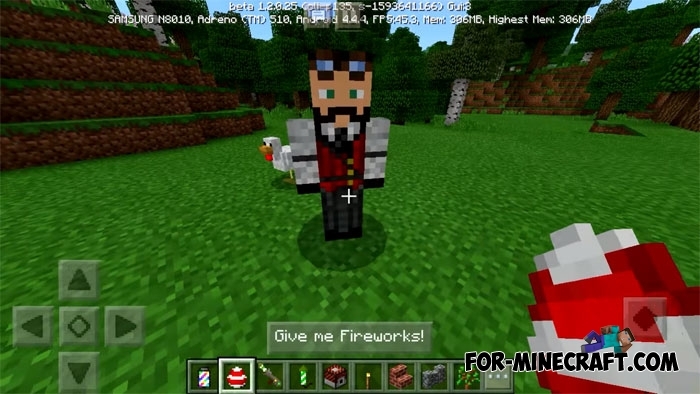 How to get: all the fireworks are available in the creative inventory, but what if you are playing survival? Go to any village where the updated villagers (firework traders) can give you free all existing items. How to install the Trolling Fireworks addon?